#Bobo family: "We hope no family will have to experience what we have endured"
Family: "Those responsible have lost their souls"
Family: "We have lost a precious daughter...sister"
Family "Our friends have been unwavering in their support"
Bobo family has finished speaking. #Bobo Spokesman: "I've never seen a stronger, more dedicated family"
Family: "We will not have any further comment as a family"
A statement was delivered by Steve Farese Sr, the spokesman for the Bobo family on behalf of Dana, Karen and Clint Bobo. "On behalf of Holly we would like to thank everyone for their thoughts and prayers. We will never understand the actions or the motives of those who took Holly from us. Those responsible will be afforded a trial. As an innocent victim Holly had no such right. Although in prison they can breathe and visit with loved ones, not Holly. We've lost a precious daughter...but those responsible have lost their souls. The family knows that Holly is in a better place. We hope that no family will have to experience what we have endured. The family has asked for privacy to grieve." 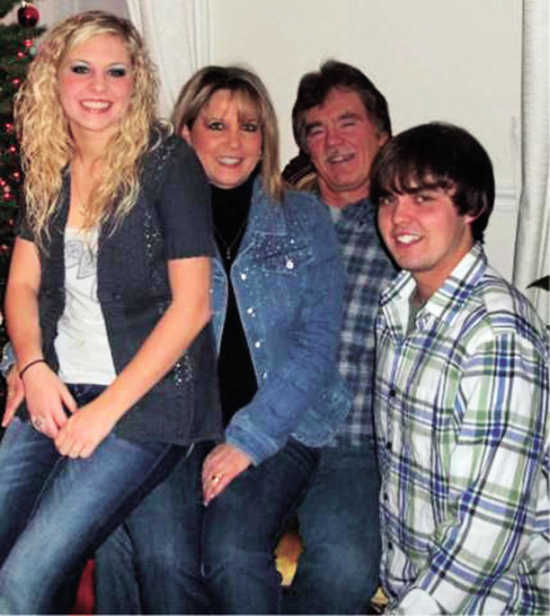 Sheriff Keith Byrd also spoke not as Sheriff, but as friend to the family. Sheriff: We did fly over this area. Ground searches by law enforcement unclear. Sheriff: The TBI is on the scene today, with forensics experts. #HollyBobo The scene is secure. 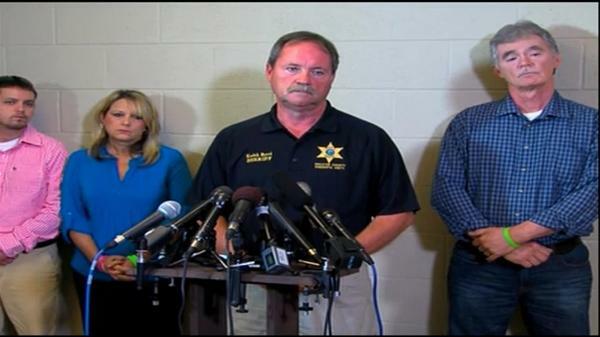 Family of #HollyBobo standing by sheriff and spokesperson during conference. Sheriff: We were chasing (cell) pings for the first few days (of the search). Sheriff: We are not protected from crime, anywhere we live. Sheriff: None of this seems real, from the very start. Sheriff: "We believe that other arrests are forthcoming"
Sheriff: "My new goal is to see that the people that did this are punished"
I hope this team does as an excellent of a job finding Hollys remains as the team that found Caylees. Justice for Holly and may her family start the healing process. The animals that did this rot in He77. "We love you Karen, Clint, Dana" an audience member remarks as the family departs. D.A. : It is time to do our jobs. We will see that justice is provided to this family. D.A. The death penalty is still under consideration. The family will assist with decision. D.A. The time for action is upon us. The District Attorney is now speaking. Justice for Holly, and her family! CNN video of the family spokesperson delivering the familys statement with the family in the background. I just found out, anticipated but still heartbreaking. My prayers will always be with the Bobo family. These murdering scum cant get convicted fast enought...I hope they fry. And hopefully there will be forensic evidence to help toward bringing those responsible to justice. Somewhere in the woods near the University of Tennessee at Knoxville are decomposing bodies whose owners willed them to science. It's a forensic anthropology research facility, commonly referred to as the "Body Farm" by students. Those who decide to donate their bodies to the study of human decomposition give a gift that allows the living to draw answers from beyond the grave, and hopefully bring killers to justice. The value of such gifts may shine brightest at times like this, when forensic anthropologists are using their research in hopes of gathering evidence and providing answers to the family of Holly Bobo. A team of those experts traveled to Decatur County from Knoxville on Tuesday, according to Decatur County Sheriff Keith Byrd. A workstation was constructed at the site where Bobo's partial skeletal remains were found on Sunday just north of County Corner Road. On Tuesday, The Jackson Sun requested a comment from the UT Forensic Anthropology Center, but a university spokeswoman said forensic scientists from the school do not comment during an ongoing case in which they are working. According to the UT Knoxville Forensic Anthropology website, study of the field began at the university in the early '70s, with a Dr. William Bass. The research facility, on 1.3 acres, is "the first of its kind to permit systematic study of human decomposition," the website says. Bodies at the facility are arranged in manners to simulate a crime scene. John Tubbs said he has known both men most of his life. He said they often were in the area. "Him and Jason both. Jason rode a dirt bike through there quite a bit," Tubbs said. He said his father's business, Tubb's Sawmill, closed its doors earlier this week, overwhelmed by the discovery of Holly Bobo's remains less than a quarter of a mile away and all the investigators and media that followed. "It's hard to be here right now running the mill, I mean knowing she was right there," Tubbs said. Wednesday, investigators still swarmed the area where two ginseng root hunters found her skull on Sunday. The TBI said at least 30 investigators from multiple agencies are on the scene. Eyewitnesses said they have seen cadaver dogs, four-wheelers and dozens of cars since the TBI took over the investigation. "They come down here yesterday and went down this old logging road right here, went down into the swamp I reckon," Tubbs said. 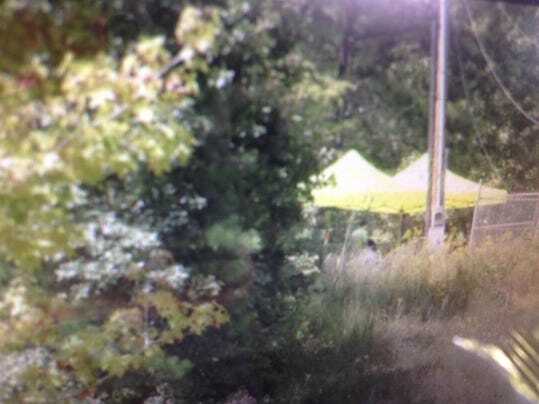 Investigators with the Tennessee Bureau of Investigation have cleared the scene where the human remains of Holly Bobo were found in Decatur County on Sunday. The TBI says they cleared and released the scene on Wednesday, but they are still continuing to investigate the case. The agency is not releasing any information about what, if anything, was recovered from the area. The TBI says no additional arrests have been made in the case since the remains were found. Decatur County Sheriff Keith Byrd said on Tuesday that other arrests in the case will be forthcoming. One of the ginseng hunters, Larry Stone, expressed his condolences to the Bobo family on Facebook. Stone posted a picture of flowers he said he left near the place where he found the remains. "I feel so much sorry and pain for her family," Stone wrote.